A design for a postcard. 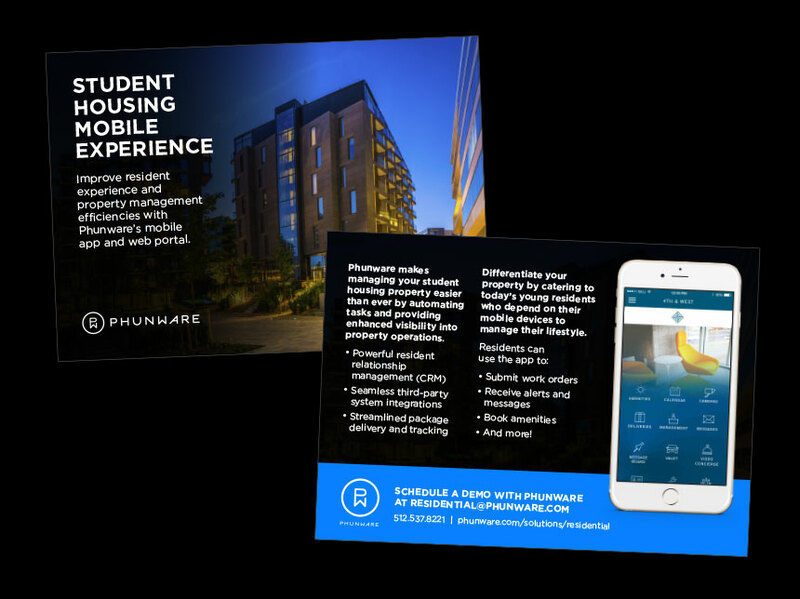 Phunware sales team requested a simple postcard to inform potential customers of residential mobile app offerings. Original design with stock photo consistent with other residential material. Produced full-color on glossy postcard stock and placed in an envelope.